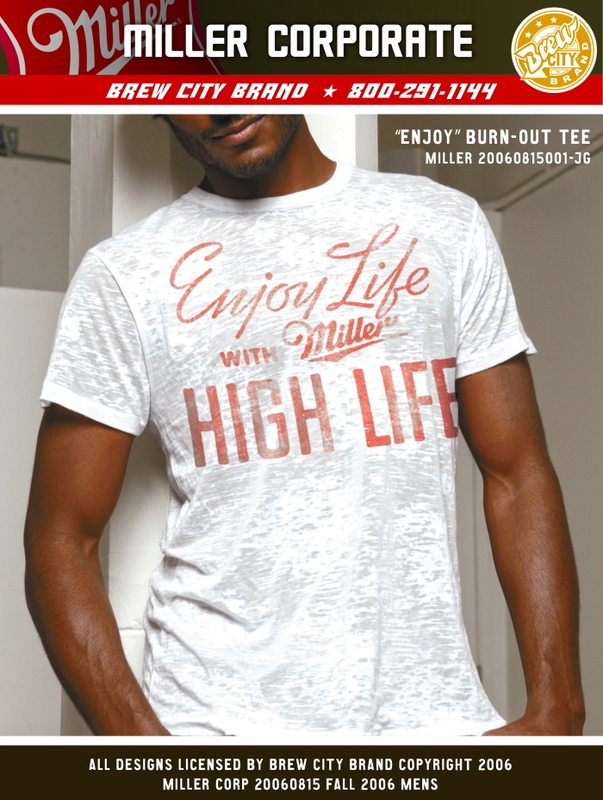 One of my tasks at Brew City involved developing apparel for the Miller Brewing Company. Since they came to Brew City for our distressed apparel, it only made sense to use Miller's vintage signage and advertisements for our designs. As such, I would do an extensive amount of research. Sometimes this could be done online -- but the real breakthroughs would happen when I went to the Miller Valley and had access to their archives. After finding material i could work with, I'd often have to edit, merge and vectorize my findings. From there, I'd often take product photos from garment vendors and edit them -- a clipping mask surrounding the garment, so I could change it's color. I would then composite the design on top, play with the opacity and apply filters to give the design a distressed look. This file would then be merged with different photos I took from across the Milwaukee area as a backdrop and melded with my redesigned sell sheets.